Here’s what is cool about the group of people I surround myself with. 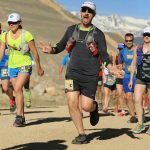 Even after my dumb mistake at Leadville that sent me to the Emergency Room (lovely medical staff at St. Vincent Hospital by the way), I keep getting asked what my next race is. Friend: That’s crazy! So what are you signed up for next? 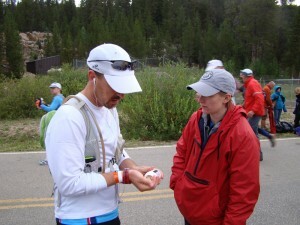 There was a moment after Leadville when I considered taking time off from running. Not because of what happened, or that I don’t like it anymore, or that I accept defeat. More due to the evidence my life doesn’t allow me to train fully for ultramarathons as I should. Wife and 4 kids, then work, and then running. In that order. 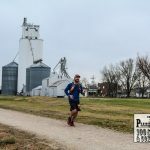 Could I just do half marathons? Sure. In fact, I could just focus on speed work and rock 5ks. I would rather fail at trying something big than succeed at something easy. Dude your from Colorado. A 100 mile race in Kansas doesn’t count. At this point, I am still not hitting more than 25 miles/week. Kids going back to school means they bring home some fine germs to share and there are other changes in the air. For ultras, I have found my mental key to completing them. As always, I just need to make sure my nutrition/calorie plan is dialed in. There may be more donuts at my next race in my drop bag. I am signed up for another race. 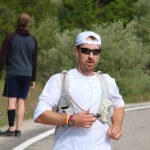 It is this month and it is an ultramarathon. When completed, it will be the farthest distance I have traveled in one day. Yes, it is in Colorado. What race? You’ll have to check back and see.